One of the promises in my wedding vows was that I would finally learn how to dance salsa. I knew that this would make my wife very happy and, given that this was a vow, I have to make good on it. 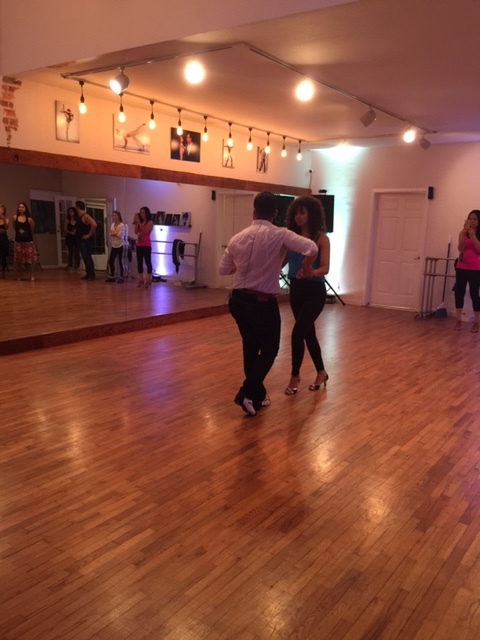 So, a month and a half after moving from London to Los Angeles, I found myself in a Santa Monica dance studio in a “salsa for beginners” group class. There was nothing “beginners” about it, though. The class, an hour long, was divided into roughly two halves – beginner and intermediate. With about 20 students, the instructor, a fiery/feisty character named Jose, told us that he wasn’t going to dwell on the basics for any amount of time. His goal was to make us reach for higher levels, which we were somehow expected to do without knowing where to start. He started off with showing us the basic steps – first for the ladies, then for the guys. While simple in principle, this is something that I need practice in and can’t just pick up on the fly. But time and patience was a luxury he wasn’t going to spare and soon we were doing more complex moves and dance patterns, involving hands, slides, and walk-arounds. I can’t even comment on how the others were doing (better than me, I’m sure), because I was just trying not to step on my wife’s feet. Needless to say, I didn’t remember any of the basics, nor was I able to pick up any of the more advanced stuff because I was getting frustrated with myself, the pace and his (lack of) instruction. After the class, my wife and I chatted about the logic of these types of classes. In her opinion, they are designed to make beginners realize that they are worse than they think they are (and that this is harder than they thought) and to splurge for the more expensive private lessons. Perhaps. Though I didn’t think that parting with $18 per person was a particularly cheap affair, given that I got nothing out of it. I actually think that this is a crappy way of going about soliciting more expensive business. If I were the instructor, I’d identify prospects for private dance lessons during these group engagements and give them a bit extra attention to show them that I am a good and capable instructor. Afterwards, I would have a chat about what the students were hoping to achieve and offer them some private dance options. Instead of feeling deflated and defeated, the encouragement would secure some higher margin business for him/studio as well as group-class patrons for down the road. As things stand, I think that the class, as well as the studio, was a bit of a joke.